Have you ever experienced blurred vision? Maybe you were reading or watching television and suddenly one or both eyes projected a haze. Perhaps you have experienced squinting, blinking or even rubbing your eyes to gain focus. Depending on the cause, it may be a temporary reaction to your eyes adjusting or may even be a sign of something more serious. It can happen to anyone at any time so it’s important to know exactly what the cause may be and what to do when it happens. Experiencing a loss of sharpness or focus in one or both eyes is known as sudden blurred vision. This is not to be confused with cloudy vision, which is referred to as a “milky-like” vision. Cloudy vision is usually associated to more serious eye conditions such as cataracts, however, blurred vision can be just as serious or caused by something easily treated. 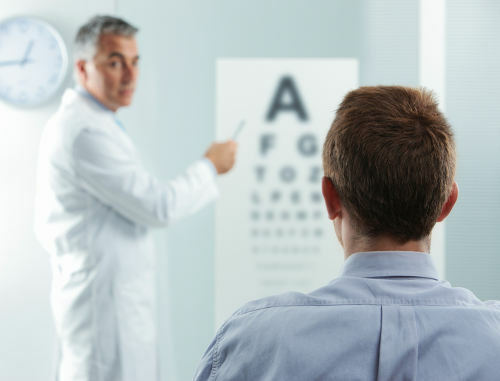 Both vision issues should be referred to your doctor, an optometrist or an ophthalmologist. 1.Myopia, or nearsightedness, is a very common cause of blurred vision, along with headache, eye strain and squinting of the eyes to focus on objects in the distance. Treatment can be done with eyeglasses, corrective lenses or eye surgery. 2.Hyperopia, or farsightedness, occurs with eye strain to focus on objects very close-up to the vision. 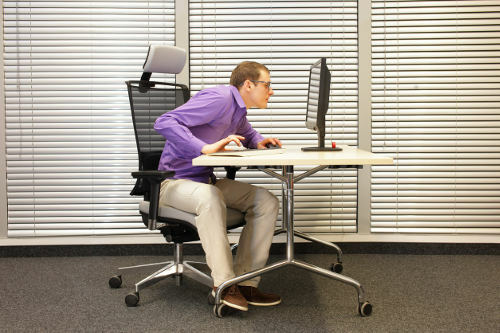 It can also be the issue for fatigue. Treatment can be eyeglasses, corrective lenses or eye surgery. 3.Astigmatism is caused by an irregular shaped cornea, which in turn results in the retina not obtaining the light properly. This eye condition can happen at any sight distance. Treatment can be eyeglasses, corrective lenses or eye surgery. 4.Chronic dry eyes can lead to blurred vision. Treatment may include lubricating eye drops, or even prescription eye drops or surgery to add punctual plugs. 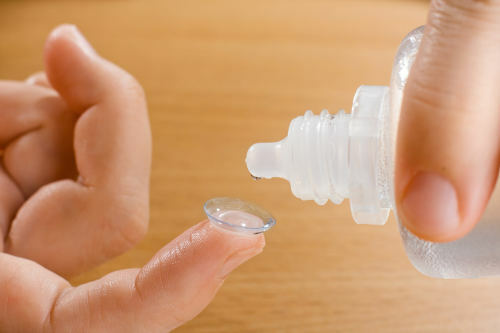 5.Contact lenses overuse can sometimes lead to blurred vision due to build-up of debris and protein. Treatment is usually replacing the contact lenses with a new pair. 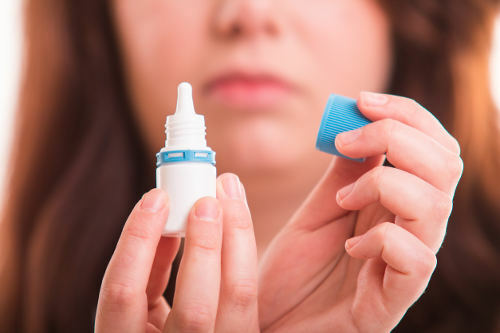 6.Eye drops and certain medications may irritate your eyes and cause blurred vision from the preservatives in them. Allergy medication is one cause of sudden blurred vision, whether it is an over-the-counter drug or a prescribed medication. Treatment can be as simple as using artificial tear drops. 7.Migraine headaches can start with blurred vision. Treatment is allowing time to take care of it as it is temporary. 8.Pregnancy causes hormonal changes which can sometimes result in blurred vision due to dry eyes. It can also be a sign of gestational diabetes or high blood pressure in some cases. Treatment is eye drops for the lesser serious issue. 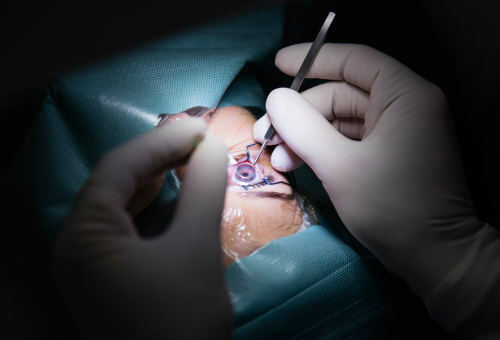 9.Eye surgery such as LASIK can cause temporary blurred vision for a few days up to a few weeks. Treatment is rest for your eyes and time to heal. 10.Floaters are spots of protein of the vitreous gel-like fluid in the back of your eye. You may see them as shadows on your retina as you age. Treatment is not done for this temporary blurred vision unless it turns into a more serious symptom such as flashes. As we age, several health and eye conditions can produce symptoms of sudden blurred vision. Age-generated conditions include floaters, age-related macular regeneration, known as AMD, and presbyopia. 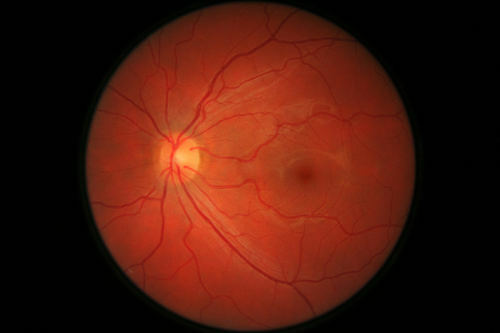 Age-related macular degeneration comprises of blurry vision to a gradual loss of vision. It is the lead cause of vision loss to those over 60 years of age. While there is no cure or treatment for this disease, some medication or therapy has helped to slow down the progression depending on the stage. 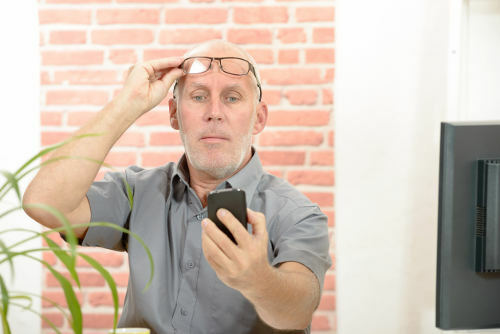 Presbyopia often begins in a person’s forties and affects most of the general population. It is caused by a natural hardening of the lens of the eye and begins when a person has problems reading small print. Reading glasses, multifocal lenses, or surgery are options for what is for some a harsh aging reality. Life-threatening issues can also cause sudden blurred vision and should not be ignored. Lack of blood supply to the eyes can be caused by heart issues, dehydration and even overheating. 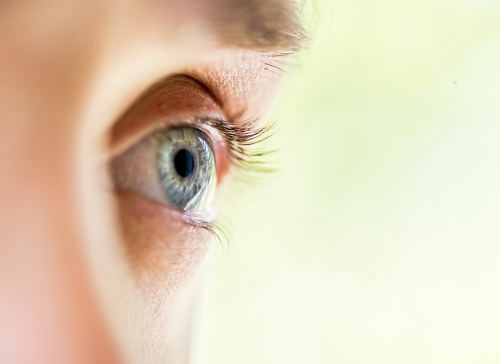 While blurred vision is usually just one of many symptoms, other serious causes can be glaucoma, diabetic retinopathy, eye inflammation of the middle layer of eye tissue known as uveitis, or a torn retina. Sudden blurred vision may even be caused by increased pressure due to high blood pressure, internal bleeding, or a brain tumour. 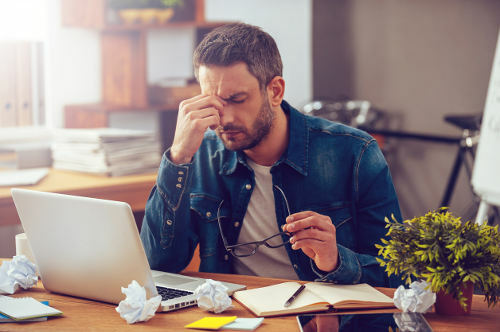 We all experience some form of sudden blurred vision from time to time, whether it be from overexposure to sunlight, fatigue, or eye strain. Frequent sudden blurred vision, double vision, blind spots, halos or even light dimness could lead to these and other serious health and eye matters. These serious conditions need immediate attention by a professional medical physician.